Make a List; Check It Twice!! Know Who’s Naughty, Learn Who’s Nice!! KNQ Matchmaking / Relationship Advice / Make a List; Check It Twice!! Know Who’s Naughty, Learn Who’s Nice!! It’s Christmas night, and I am sitting here, finding myself making plans to spend tomorrow with my friends using the overflow of gift cards I received for Christmas from various friends and family. The very thought of such an action excites me, but simultaneously disappoints me because of the nagging notion that perhaps my family doesn’t know me as well as I think they ought, considering the soon-to-be 26 years I have been with them. After all, I am a man, no matter how much of a lady I might want to be sometimes! Maybe some cologne, a shirt/tie set, some gym or dress socks, or even something else generically masculine seems like it might have been a better way to go, but instead, I can go play poker with my closest friends because I have a full house of gift cards. By no means am I ungrateful. I mean, at least they thought enough about me to get me something in the first place! I started thinking about the fact that I didn’t worry about making a list. I thought maybe if I just showed up in my usually radiant glory, perhaps the greatest desires of my heart would be bestowed upon me by people whom I believe should know me better than the myriad of other people with whom I come into contact every day. 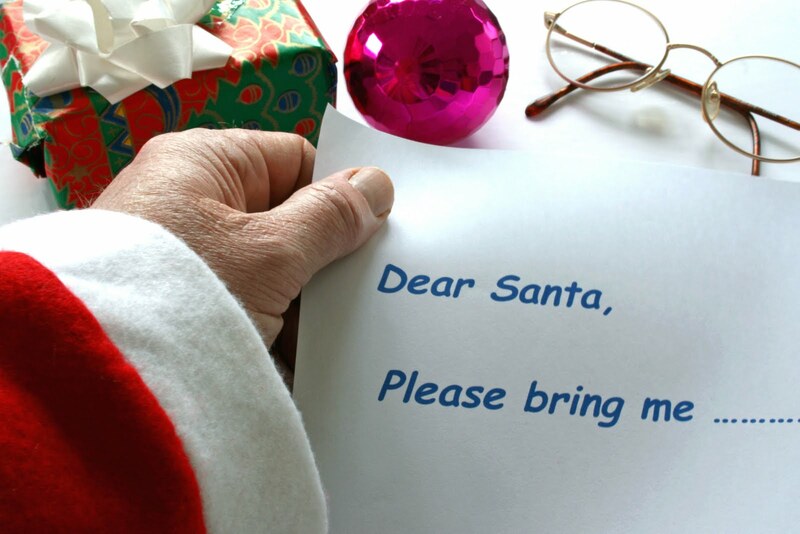 It dawned on me that I probably could’ve gotten most of what I wanted had I simply made a list!! Perhaps you might be wondering why God or Santa or the mailman of your choice has yet to deliver your husband to your doorstep. Have you ever stopped to think that perhaps you haven’t been specific enough? Have you just been wishing, hoping and praying for “a man?” Well, Boris Kodjoe, Flavor Flav, and Osama bin Laden are all men. So, why wouldn’t you be happy with any of those? That’s why the bull’s-eye is the CENTER of the target! Precision is key! Keep in mind that YOUR man is just that: YOURS! So, don’t be influenced by what other folks claim should be on your list. If you like a femme guy, say it. If you like them fat, old, lanky, short, or with glasses… don’t be afraid to claim that, either. That’s YOUR man. You will have to live with him; make sure it’s what YOU want! The same concept is true for furniture or TV shows or music or food. Why should this practice be any different for finding a husband? It’s your money, time, and energy. So, make sure it counts for something! Let specificity be your guide. Take 10 minutes and think. With all of the men that you are attracted to, which physical/character traits do you notice tend to make noticeable and recurring appearances? This is the time to be honest with yourself. It’s also fine if you develop a formula or recipe for “the perfect man,” but like any recipe, don’t be afraid to dabble in deviation. Study how some combinations work on your taste buds. Experiment with different traits, and see if maybe you can at least begin to cross things OFF the list instead. You might see that some men fit you better for reasons you may not have readily seen before! The first step in getting what you want is knowing what you want. So, to close this year and to open 2010, make a list, and check it twice! Decide right now, on how you want YOUR man to look, to sound, and to be. Write it down, and make a promise to yourself that you will at least develop a set of criteria from which to start working to develop meaningful bonds with viable men. I hope you will remember and respect the differences between preferences and requirements, and if you don’t know how, I’ll discuss that in another post! Meanwhile, if you are having trouble coming up with characteristics, but just know that you are indeed looking for a man, lighten up your holiday with Miss Anita Baker as she sings of her Christmas Fantasy!